Today we have a sneak peek from author Frank Fiore’s new action/adventure novel, Seed. Jeremy Nash arrives home after a harrowing trip by plane across the Atlantic in terrible weather to find a Hopi Indian maiden waiting for him at his sister¹s house. She tells them she has something for the eldest son of his father that will prove his parents were murdered ­ and lead him to who killed them. She gives him an invoice for a Kachina doll order with strange code words on it that leads to a series of clues to the 2012 End Times Hopi predictions ­and the secret organization that murdered his parents for what they discovered. 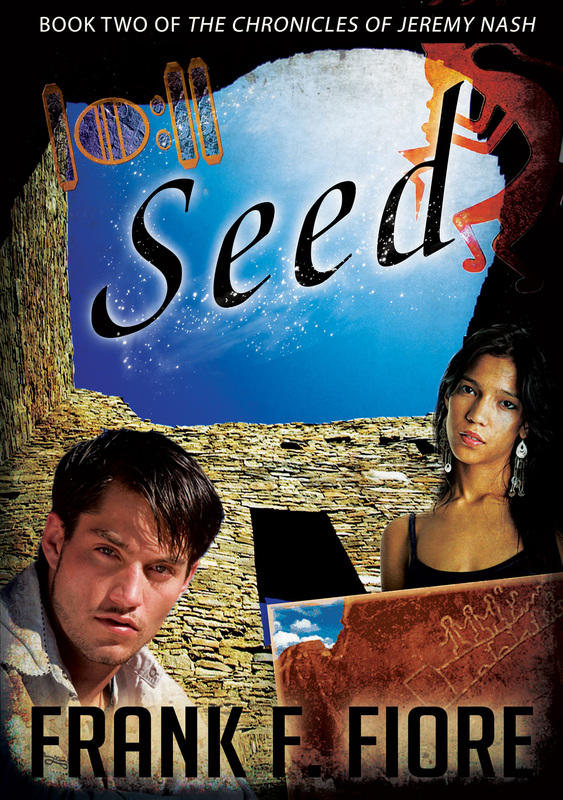 Seed is available in free installments on Smashwords. Nash took the folded paper, surprised at how hard his heart was suddenly thumping against his ribcage. It was, after all, a note from his deceased father. He carefully unfolded the aged paper and eagerly looked it over, breathing hard. He missed his adventurous father and such a note–any note–was more valuable to Nash than any earthly treasure. And then his heart sank. “What’s the significance, then, of this Mana Kachina?” asked Nash. He showed them to the others and asked Kaya if she knew what they meant. Nash had no idea. He tried to move over but was firmly wedged between his sister and the arm of the couch. She smiled sweetly at him and pointed to the bottom of the invoice again where a sequence of numbers and letters were printed: 2-7-3 470NM. “What do you think those mean?” she asked. “Or some kind of code!” exclaimed Alyson excitedly. She nearly shivered with delight. His sister, like their grandfather, was a sucker for a good puzzle. You got my attention. And since you use Smashwords, I can read it.